"I'm gonna support her in whatever she wants to do." 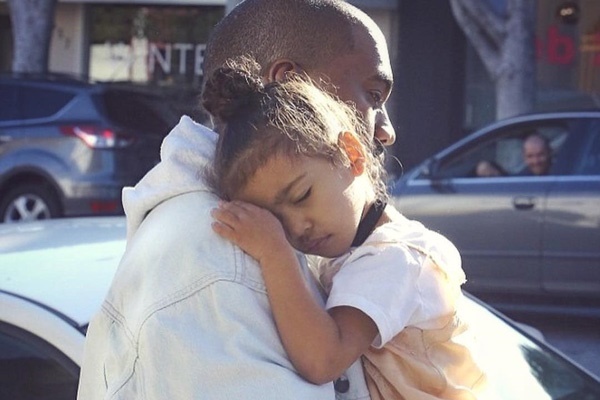 Kanye West shows off his softer side as he talks about being a father to cutie North. Given his reputation, the world may have been a little worried when Kanye West first announced he was going to be a father back in 2012. The larger-than-life star rarely shows off his softer side, which makes seeing him with his mini-me daughter North West so sweet. And she really takes after daddy. "She is Kanye's twin. Same personality, says the same wild things," jokes mom, Kim Kardashian West. We want to pay tribute to you, awesome dads. Send photos of special or funny moments with your kids to chatback@parent24.com and we may publish them. Photos sent on behalf of fathers — husbands, brothers, uncles, or cousins — are welcome, as long as you have the parent or legal guardian's express permission that we may publish the photos of their under-18-year-old children.